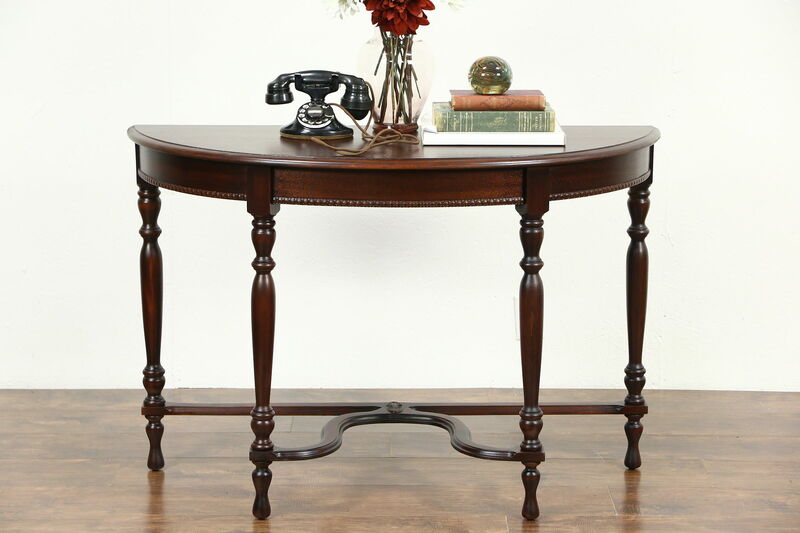 A half round or demilune shaped hall console table from about 1915 is mahogany with an excellent renewed satiny finish. American made antique furniture, there is a signature, "Chero Cola, Columbus, GA." The drawer has a curved front. There are tiny losses at some joints and edges and on the lower medallion, see photos. Size is 45" wide, 18" deep and 30" tall.